SR500 Parts Washer. – Solvent Free. don’t require any governmental authorization. environment friendly, as it neither uses any toxic product nor releases any VOC. temperature. By this process, the hydrocarbons are decomposed, keeping the bath clean and ungreasy. 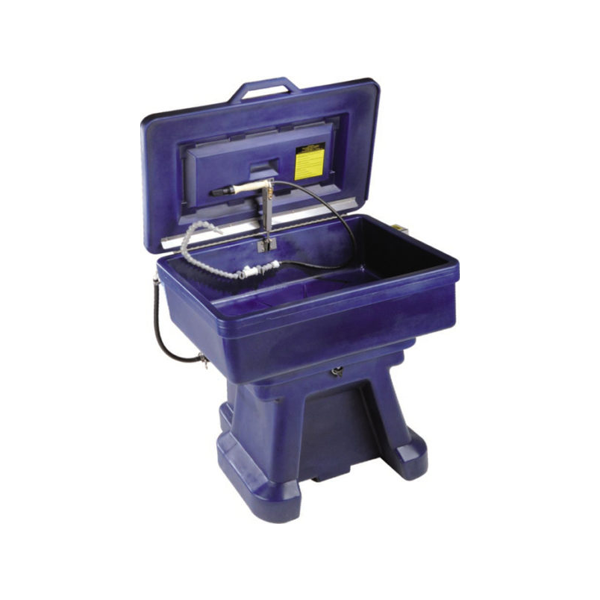 The machines bodies are mostly composed of high density polyethylene. The tanks contain about 80 to 100 liters of Bio Liquid. A pump propels the degreasing solution into the flexible spigot and/or into the brush. Spigot’s and brush’s flow are adjustable. The degreasing Bio Liquid runs through the brush, but also around the brush, to prevent thick greases from sticking to it (multi-jets flow brush). 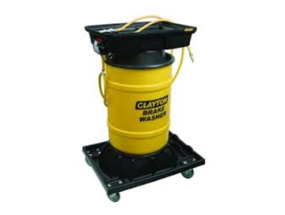 The sinks/tanks are designed to soak large and heavy parts. Accumulated oils are degraded by micro-organisms in the machine tank.  A pre-filter situated in the sink to hold the thickest elements. keeps the same degreasing efficiency for more than a year. bath, so the micro-organisms can efficiently degrade hydrocarbons. (pump, low level sensor, heater, thermostat …), really simplifying maintenance operations if needed. 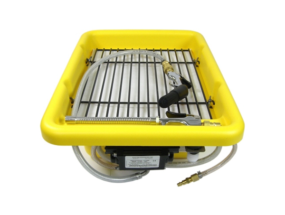 Cleans your parts without solvent while respecting the operator and the environment. • BIOLOGICA L PART S WASHER : The Parts washer heats and regulates the liquid up to 38°C, which optimizes both cleaning and biodegradation. 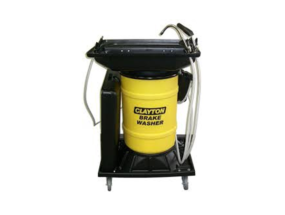 It is equipped with several cleaning possibilities (brush, spigot, soaking) and filtration systems. 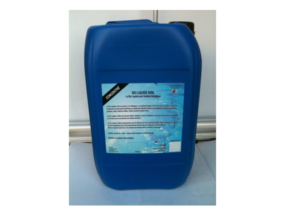 • BIO LIQUIDE : Aqueous and pH neutral solution, based on specific tensides, it is non toxic and not flammable. Solvent and safety-label free product. • MICRO -ORGANISMS : Concentrate of 1st class microorganisms, which continuously clean the liquid by biodegrading the removed oils and greases. They also reduce sludge and odors.